January | 2015 | Pray for Revival! Media Reports: Ray Patterson, 46, was shot last Monday about 5:30 p.m. in Norwick Park near 50th and Fort Streets and died Wednesday at the Nebraska Medical Center. This is the ninth criminal homicide this year compared to one last year at this time. Directions: Meet at 5:15 PM TONIGHT at 50th & Fort. We have little information on this and no contact with family yet. We will pray for family and into the violence this neighborhood has suffered. Thank You for your Faithfullness! Violence was significantly down in 2014 and together it can be even lower in 2015. • First Responders PrayerWalks are a community response to violence. They are not prayer-vigils on behalf of the family. Family members are invited if we have contact info, and our team reaches out to care and minister to them as Jesus would. • First Responders encourages people in neighborhoods to connect and get involved with local churches and organizations. We work to help people get to know their local police better, communicate, build trust and work with our police in reducing violence. • In 2007 John Ewing and Dave Gehrls developed First Responders in partnership with Omaha 360, Empower Omaha, OPD, and other local groups. More information is at http://prayerwalkingtheheartland.blogspot.com or if you would like to be added to the First Responder team, send an email to Dave at firstresponders@cfci.org with your personal contact info and the church you attend. The World Needs Churches That Preach the Bible! One of my best friends said this phrase to me one day. She meant it as though some days joy is so easy to choose, and praising Jesus is the first thing on our minds. But other days are not so easy. In fact, they are so hard and sucky and terrible that our only option for hope is clinging to the cross. 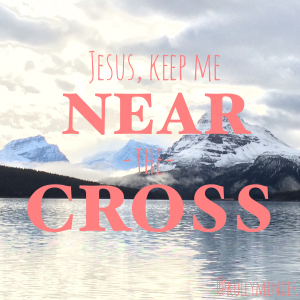 I pray that no matter what brings me to the cross, I am always near to it. On this dark anniversary of Roe v. Wade we’ll hear from some of the voices that abortion could not silence. Melissa Payne—pregnant with her second child—was traveling with her family when her water broke. Her baby girl was just under nineteen weeks old—far too young to survive outside the womb. But God was preparing to work a miracle in the Payne family. Doctors told Melissa that she would have to deliver the baby within the next three days—which certainly meant the little girl would die. Even if they continued the pregnancy, a specialist gave the baby only a five percent chance of survival. And, Melissa was told, even if the baby did survive, she would be so handicapped that she would be a tremendous burden on the family. But Melissa and her husband, Kevin, refused to give up on their daughter. They found an obstetrician who was willing to help them complete the pregnancy, if such a thing were possible. But even this doctor didn’t offer much hope. Friends from church bathed Melissa and her baby in prayer for seven weeks. And then came an emergency Cesarean. Graceanne Payne arrived in the outside world at just 26 weeks gestation. She weighed one pound, twelve ounces. Graceanne was kept on oxygen ventilation for six weeks, and spent a total of ninety-seven days in the neonatal intensive care unit. And then, her parents joyfully took her home. Now you may be wondering: What about all those dire predictions that Graceanne would be born with a big batch of handicaps and be a burden on her family? Well, Graceanne, who is now over a year old, is perfectly normal. Her mother says she has met all of her age-adjusted developmental milestones. I wanted to tell Graceanne’s story today—the 42nd anniversary of the infamous Roe v. Wade decision—for an important reason. Neonatal specialists keep pushing back the age of survival for babies born sooner than they should be. Many babies now survive premature births. Other babies survive, not premature births, but efforts to abort them. I was shocked to find out recently that some 44,000 people have survived attempts to kill them through abortion—enough to populate a small city. You can read their stories on their website—The Abortion Survivors Network. One survivor, Ana Rosa Rodriguez had her arm torn off by an abortionist in 1991; she’s now a healthy young woman (except for that missing arm). Eleven A.M. Sunday morning is the most segregated hour in America. So said the man we commemorate today. Martin Luther King, Jr. was driven to confront Americans for our sins of racism, discrimination, and oppression. And yet what drove him, as we’ve talked about on BreakPoint in the past, was his Christian faith. In fact, I dare say secularist gatekeepers today would quickly dismiss many a line from MLK as fundamentalist and theocratic if they didn’t know who said it. This is especially true of Dr. King’s “Letter from Birmingham Jail,” which Chuck Colson called one of the great documents of the 20th century. In it, King appealed directly to a standard higher than the law of the land. He appealed to the law of God, by which we can and should judge whether or not to obey a human law. Now while I’m happy to say evangelicals are more and more comfortable pointing to MLK as an example of Christian activism, and noting his integration of faith in engaging the evils of his day, King’s observation about the church being segregated remains true today, and yet is largely ignored. According to a recent Lifeway Research report, 8 out of 10 congregations are basically racially segregated, and yet nearly 70 percent don’t think anything needs to be done about it. Now many would say this isn’t really a problem. But I’ve come to believe that it is. And here’s why. First and foremost are theological considerations. Jesus, we know, prayed in the Garden that His people would be unified. This is more than a “let’s just get along” vision. Jesus said in John 13 that the way people would recognize us as His disciples would be our love for one another. We all know that love is not merely the absence of hate – it’s proactive. That seems to be missing. The reason that unity reveals our identity as followers of Jesus is that it foreshadows what we’re told is true about the fully realized Kingdom of God. John was granted a vision of this, which he reported in Revelation 7. Before the throne of God stand people from every tongue, tribe, nation, and language – all dressed in white robes praising God. It’s a striking image is striking of the reversal of Babel. At Babel, one people were made into many nation. In Revelation 7, many nations once again become one people: God’s people. If that’s true of the Kingdom of God, it ought be true of the Church whose job is to point people to the Kingdom of God. Prayer is at the very heart of the Christian life. Not only is it obedience to God’s command, but it is a vital means of our receiving his ongoing grace for our spiritual survival and thriving. And the joy of prayer — communing with God — is essential to what it means to be Christian. Without prayer, there is no true relationship with him, and no deep delight in who he is, but only glimpses from afar. As Jesus teaches, private prayer (or “closet prayer”) has an important role to play in the life of the believer. We develop our various patterns and practices for secret prayer in the rhythms of our unique lives. We find our place and time to “go into your room and shut the door and pray to your Father who is in secret” (Matthew 6:6). Amen to private prayer. It is crucial. But there is more. 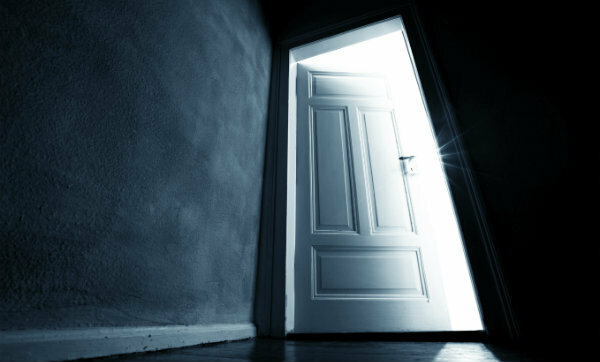 Prayer begins in secret, but God doesn’t mean for it to stay in the closet. Prayer is for all of life, and especially for our life together in community. When we follow the lead of the Scriptures, we not only practice prayer in private, but take its spirit of dependence and trust into the rest of the day, and into times of prayer together with fellow believers. Likely you know the verses that lead us to whisper prayers long after we’ve left the closet. “Pray without ceasing” (1 Thessalonians 5:17), “be constant in prayer” (Romans 12:12), “continue steadfastly in prayer” (Colossians 4:2), “pray at all times” (Ephesians 6:18). Jesus said that we “ought always to pray and not lose heart” (Luke 18:1). These texts charge us not to stay all day in the closet, but to carry a posture of prayer in the soul as we give ourselves fully to our daily tasks and engagements — and that in a moment, we be ready to go consciously Godward in the car, waiting in line, before a meal, in the midst of a difficult conversation, and in anything else. “Everywhere God is, prayer is,” Tim Keller writes. “Since God is everywhere and infinitely great, prayer must be all-pervasive in our lives” (Prayer, 28). And the highpoint of prayer all-pervasive, outside the closet door, is praying together with other Christians. Arranging for accompaniment in prayer takes more energy and effort than a whispered prayer while on the move. It takes planning and initiative and the syncing of schedules in a way that private prayer does not. But it is worth every ounce. And so we have at least two fronts to a healthy life of prayer. We pray personally, in the secret and on the move, and we pray corporately, resisting the privatizing of our prayers, not just by asking others to pray for us, but especially by having others pray with others. The classic text on Jesus’s letting others invade his prayer space is Luke 9:18: “Now it happened that as he was praying alone, the disciples were with him.” Rarely did he part company with his men (and only then to pray, Matthew 14:23; Mark 1:35; Luke 5:16), and doubtless one of their most regular pursuits together was prayer. Keeping such company in prayer must have played a part in “the boldness of Peter and John [who were] uneducated, common men,” but it was recognized “that they had been with Jesus” (Acts 4:13). Jesus’s communal prayer with his men then led to communal prayer in the early church they led. It is explicit at nearly every turn in the Books of Acts. “All these with one accord were devoting themselves to prayer” (Acts 1:14; also Acts 2:42). “They lifted their voices together to God” (Acts 4:24), and the filling of the Holy Spirit fell after they prayed together (Acts 4:31). The church chose the Seven, and “they prayed and laid their hands on them” (Acts 6:6). While Peter was in prison, “earnest prayer for him was made to God by the church” (Acts 12:5), and when he escaped miraculously, he found “many were gathered together and were praying” (Acts 12:12). It was “after fasting and praying” that the church in Antioch sent Paul and Barnabas out on the first missionary journey (Acts 13:3), and “when they had appointed elders for them in every church, with prayer and fasting they committed them to the Lord” (Acts 14:23). Even in jail, “Paul and Silas were praying and singing hymns to God” (Acts 16:25). And in an emotional goodbye to the Ephesian elders, Paul “knelt down and prayed with them all” (Acts 20:36; also Acts 21:5). And our need for God’s help today is no less, and prayer together remains a vital means of God’s ongoing grace in the Christian life and for our communities. That the early church prayed together is plain; the details of how they went about it are not. Which is fitting. There is no one pattern for corporate prayer, whether it’s in twos or tens, hundreds or thousands. The practices of praying together vary from family to family, church to church, and community to community based on context, leadership, and shared history. Wise leaders are observant about what habits and practices are already at work in the group, which ones are helpful and could be encouraged, and which ones might prove unhelpful in the long haul and could be replaced. Here are five lessons learned in leading small-group prayer in recent years. Maybe one or two would be good for a family, community group, or church you lead or are a part of. Make regular prayer with company a part of your weekly or biweekly routine. Instead of just hit-or-miss, have some planned time and place to gather with fellow believers to pray. As for how many weeks or months you commit, make some finite pledge together, rather than a world-without-end-amen kind of plan. When the specified time is up, renew or reconsider. Regular prayer commitments without an end date tend to fizzle over time, and then prove discouraging for future engagements. Christian prayer at its truest comes in response to God’s self-revelation to us. It is, as George Herbert wrote, “God’s breath in man returning to his birth.” And so it is fitting to begin sessions of corporate prayer with some anchor in God’s own speaking to us by reading a passage or referencing some place in Scripture as a kind of “call to prayer.” We inhale the Scriptures, and exhale in prayer. It can be easy to let the sharing of requests cannibalize the actual praying together. Keep your introductions short, read a passage, and go right into prayer. Encourage people to share their requests by praying them with the information needed to let others in on what they’re praying.